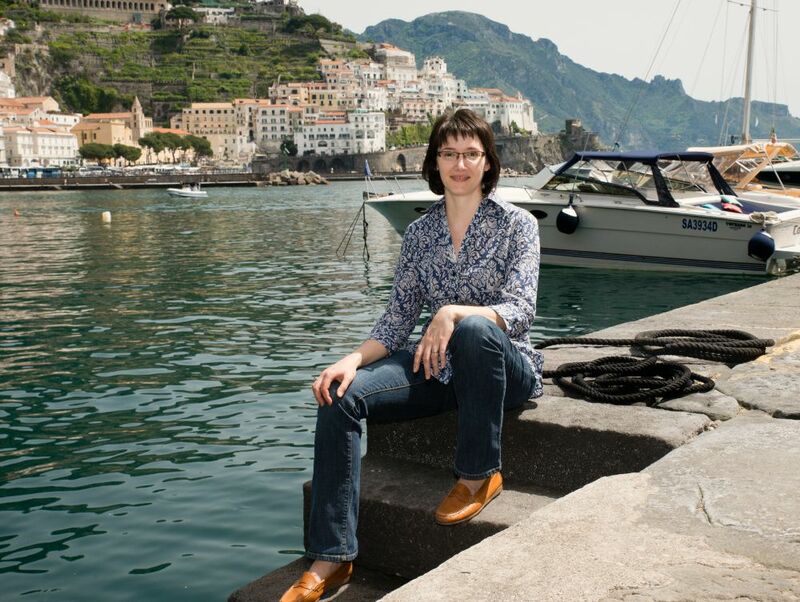 Continuing our ‘Top Bloggers’ series, We reached out to Laura Thayer, an American expat now living on the Amalfi Coast to ask a few questions. We love the region as much as Laura does, that’s why for next year have have added new language and painting weeks to Amalfi dates. Laura visited the region in 2007 and by the next year had decided to make the move permanent. She quickly picked up the language and settled in to the Italian way of life! You visited the Amalfi region in 2007 and by the next year you had emigrated there, what pulled you in so fast? It was love at first sight with both Amalfi and my tour guide, who is now my husband. I visited the Amalfi Coast on a weeklong holiday with my mother back in 2007. We both felt an immediate connection to this incredibly beautiful place, the food and the local culture. I was in graduate school at the time studying art history, and while I finished my Masters I traveled back and forth to Amalfi as often as I could. After graduation I made the big jump to expat life in southern Italy and I’ve never looked back! How does Amalfi differ from other areas of Italy? While I’ve not traveled extensively (yet!) outside of the Campania region, I have visited many of the major cities like Rome, Florence, Venice and Genoa. I’m a true Italophile and love experiencing different parts of Italy, trying local foods, hearing accents and dialects and learning new traditions. Yet, returning to the Amalfi Coast always feels like coming home. I’ve found the people here to be very warm and have felt like a part of the community since I arrived. Of course, on the Amalfi Coast you get a landscape that is truly unique in the world – reaching from the rocky beaches with brilliant blue water to fabulous hiking in the mountains high above. The villages seem to cling right to the cliffs and the colors are unforgettable, from the pastel hues of the houses all stacked up on one another in Positano to the locally produced ceramics to the vivid yellow of the traditional limoncello liqueur. The colors really stay with you long after you’ve visited! Next year we are expanding our language holidays to the Amalfi Coast. Could you speak Italian before you moved or how have you found improving your linguistic skills as a new ‘native’? My Italian was limited to ciao, grazie and just a handful of words the first time I visited the Amalfi Coast. I wish I had been able to speak more right away, but it has been a slow process. I didn’t take any classes when I moved to Amalfi, which certainly slowed down the learning process. Nevertheless, I picked up the language by ear over time, and am now at a very high level of comprehension with Italian and decent when it comes to expressing myself. I still need to hit the books and study Italian grammar more! After my experience, I would highly recommend language classes and immersion experiences together as being the only way to learn a language quickly. I’ve found that the locals on the Amalfi Coast have been very patient with me learning Italian over the years and are kind teachers while you’re out practicing and learning. As an American expect, what are the main differences you’ve observed between life in the US and life on the Amalfi Coast? Life is completely different between America and the Amalfi Coast, but mostly in ways that I enjoy, such as the slower pace of life. That doesn’t mean life isn’t hectic—just a drive on the twisty Amalfi Coast road on a busy day proves that wrong—but there’s far less emphasis on consumerism. I like how things are repaired and not just replaced, how locally produced food is a part of life, how dinners with friends can last hours, how life is a bit more traditional and time with family is priceless. Can’t wait to visit the stunning Amalfi Coast? Then secure your place for next year – spaces are filling quickly. Simply contact our Flavours team or get your brochure to check 2016 dates and availability here!